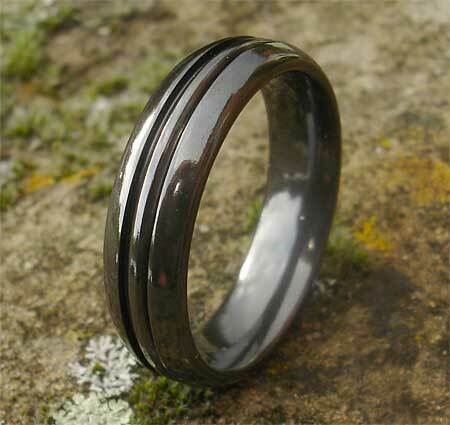 Domed Black Wedding Ring For Men : LOVE2HAVE in the UK! 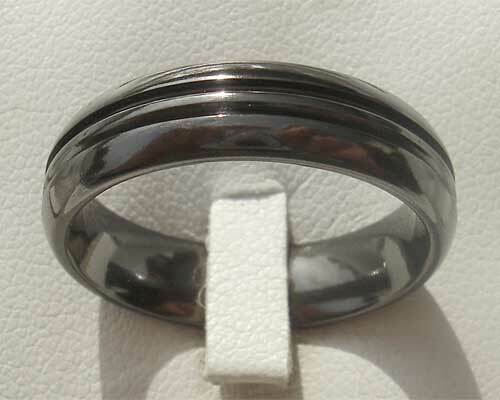 A 6mm width domed profile black wedding ring for men with a central half round rail design. The central rail has been machined into the domed profile to create a somewhat striking design. It is pictured here in a polished finish which we think looks the best as it highlights the central rail but you may have a matte version if you prefer. 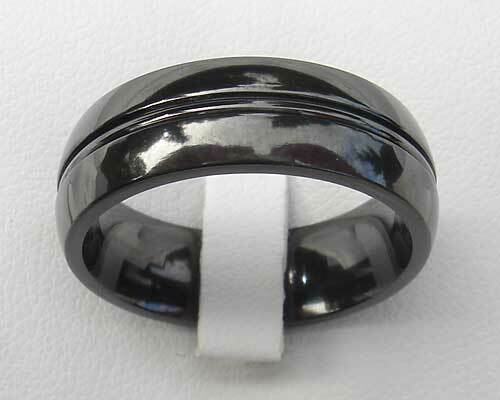 Whichever you decide upon, this ring makes a lovely men's black wedding ring, and at an affordable price too. In the UK we have lost much of our manufacturing base. Let's not forget our jewellery designers also. Support our talented UK designers, and you will have a beautiful piece of jewellery that you will be happy to wear for many years to come.